DESCRIPTION AWESOME QUIET TOP FLOOR CONDO FOR SALE, 2 Bedroom & 2 Bathroom, MASTER Bedroom is SIZABLE w/HIS / HER Closet with FULL LENGTH MIRROR SLIDING DOORS.GREAT for getting READY along is a 4PCS MODERN Master bathroom w/ WELL MAINTAINED Tub surround, best for cleaning and QUARTZ COUNTER TOP on WARM GREY CABINETS. SECOND BEDROOM IS GOOD SIZE & is IDEAL FOR ANYONE. LIVING ROOM is Spacious & brings in ABUNDANCE OF LIGHT, Just off living area will lead you out to a LOW MAINTENANCE BALCONY w GAS HOOK UP PERFECT for spring & summer BBQ's, but BEST for staying COOL during SUMMER. KITCHEN/ DINNING concept is ideal for entertaining guest and family. KITCHEN AREA IS MODERN AND CLEAN offering LOTS of STORAGE SPACE with TOP OF THE LINE STAINLESS STEEL APPLIANCES TO COMPLETE. Office / Desk area offer a sleek QUARTZ counter fantastic for anyone. Laundry is In Unit and has enough room for some storage. 1 underground TITLED PARKING comes with this unit and you will also find your own storage underground unit. CALL NOW TO VIEW! Home for sale at #4406 302 Skyview Ranch DR Ne Calgary, Alberts T3N 0P5. 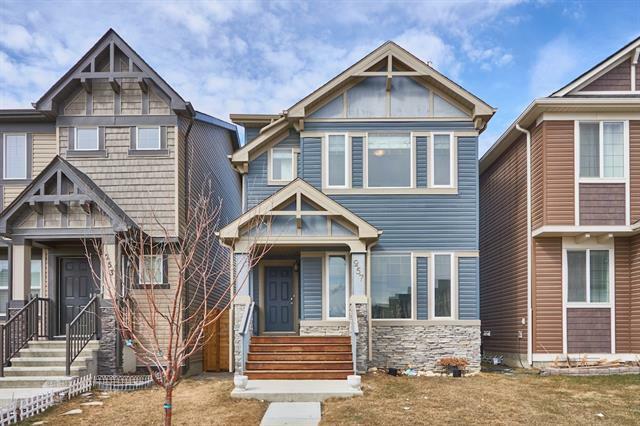 Description: The home at #4406 302 Skyview Ranch DR Ne Calgary, Alberta T3N 0P5 with the MLS® Number C4226755 is currently listed at $230,000.